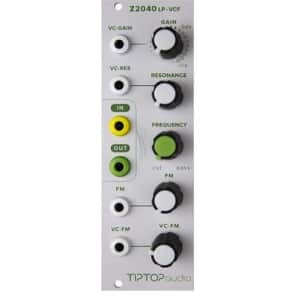 The Z2040 is our redesign of the most famous analog filter from the poly synths of the 80’s and features Tiptop Audio’s signature lush, big and creamy sound. 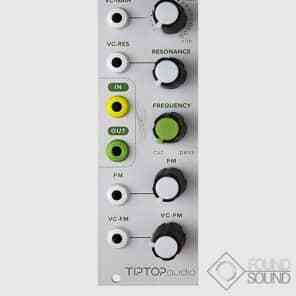 Its frequency sweeps make thick bass lines and leads with great dynamics. 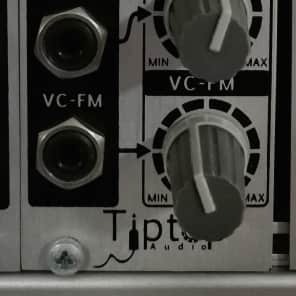 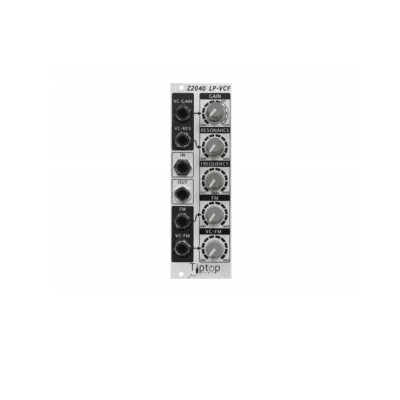 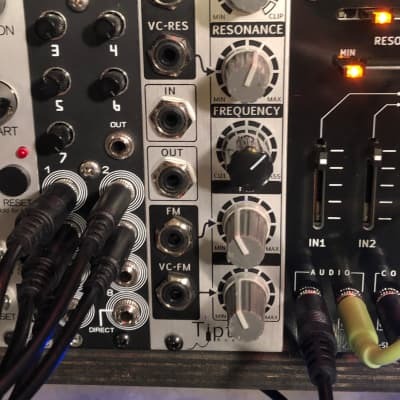 When modulated with audio frequencies through its various inputs, the Z2040 gets quite colorful and is capable of creating so many new sounds and textures as the forces of the incoming waves and their harmonics all blend through the filter’s non linear circuit. 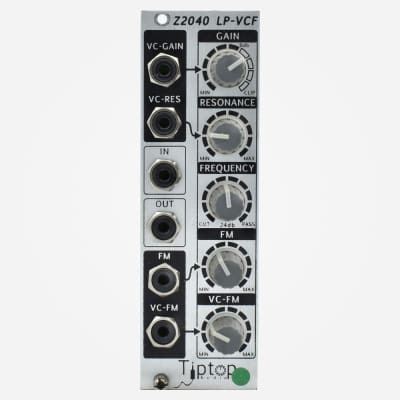 When set with Resonance feedback fully up, the Z2040 transforms into a pure sine-core VC-Oscillator, great for making snappy percussive elements and whistling sounds.